WRJCA New Player Registration Forms. Matches will start in late October on a Wednesday Nights for U16s. Players will be required to play at home i.e. Saltwater Reserve / Dunnings Road, as well as playing away every second week, this will require you to travel to other grounds in the Western region. Note players must be available to play at home and away. The objective of the club is to ensure that all players “have a fair go” and bat and bowl during each match. This year the WRJCA U16 Girls competition will have the following parameters. The club will make available Bats, Pads and helmets for players that do not have their own gear. However most players have their own equipment. If you are planning on purchasing equipment we would suggest that you acquire Cricket gear that is correct for your Daughter now. Do not buy Cricket gear that you’re Daughter “will grow into”. Most of the major brands ie Gray Nicholls and Spartin have some fantastic kit offers which would suit most first time Cricket players. If you are unsure of what to purchase all of our Coaches would be very happy to advise you. 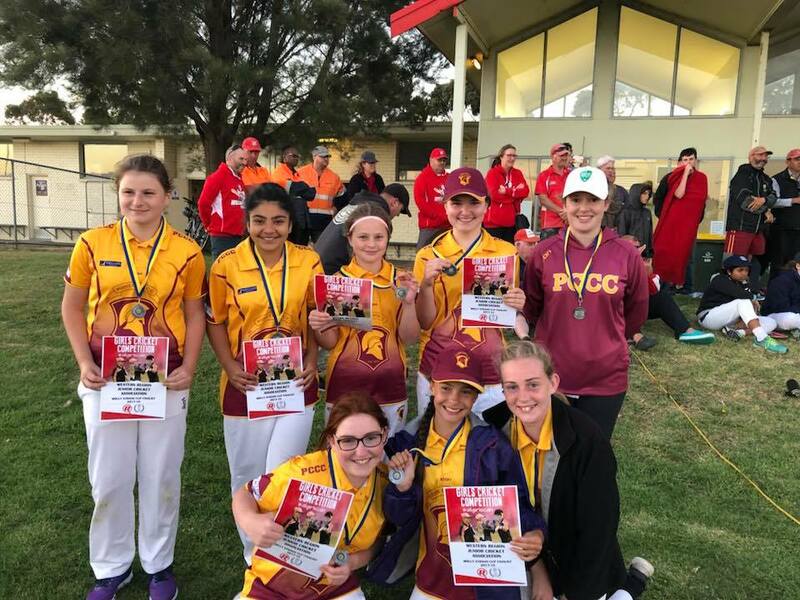 Point Cook Cricket Club is a not for profit sporting group and we rely on the support of every players family to help in the following roles, Team manager, Scoring, Umpiring, match day helper (setting up grounds), match reports / photos and fund raising. This year the coach will prepare a roster for each family itemising your responsibilities each week. To help spread the work load over the entire playing group we have included a "volunteer levy" of $50 per family, this levy will be returned once a few of the required tasks have been completed. Please note that a parent or guardian for each player is required to stay at the game. Players cannot be left at the ground without a parent or guardian present if players are left unattended they will be unable to take to the field. We look forward to accompanying you on your Cricket journey.